Can you fill out a perfect NCAA tournament bracket? Cousin Sal is betting the house. Cousin Sal is betting his house on this year's NCAA March Madness tournament and it could be your's! The odds of filling out a perfect March Madness bracket, experts estimate, is as a low as 1 in 9,223,372,036,854,775,808. So comedian/writer Cousin Sal is betting the house. His house, in fact. 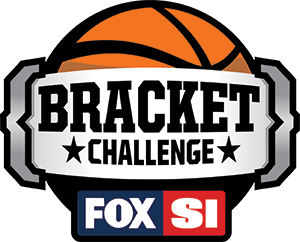 If anyone fills out a perfect bracket in the Fox/SI Bracket Challenge, they will get Cousin Sal’s Los Angeles-area home (or $1 million in cash). The best bracket will win $25,000. "Creating a perfect bracket is a very difficult task," Cousin Sal says. "I figured I'd put up my most valuable asset as incentive. But ultimately I just couldn't part with the singlet I wore during my professional wrestling debut, so I opted to go with the family home. I'm sure the neighbors will adore whichever Russian hacker I'm forced to hand the keys to on April 3." Luckily for Sal, there is no documented evidence of a perfect bracket ever being filled. Can you beat the odds? Sign up to play before the tournament begins Thursday.